The result was announced after market hours yesterday, 3 May 2018. Meanwhile, the S&P BSE Sensex was down 92.24 points, or 0.26% to 35,010.90. On the BSE, 2,779 shares were traded in the counter so far compared with average daily volumes of 122 shares in the past two weeks.  The stock had hit a high of Rs 920.10 and a low of Rs 850 so far during the day. The stock hit a record high of Rs 1,025 on 21 September 2017. The stock hit a record low of Rs 703.05 on 5 April 2018. Earnings before interest taxes depreciation and amortization (EBITDA) grew 26.3% to Rs 19.95 crore in Q4 March 2018 over Q4 March 2017. Murugavel Janakiraman, managing director said match making business witnessed a profile growth of 15.8% year on year. During Q4 secondshaad.com, an exclusive portal for divorcees has been acquired and combining with the company's existing portal divorceematrimony.com, the firm has become the leading player in this segment. The company will continue to invest in brand building in the matrimony segment and expect the revenue to expand in coming quarters, he added. 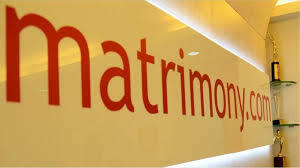 Matrimony.com is India's leading consumer Internet company. It is a signature consumer internet conglomerate, managing marquee brands such as BharatMatrimony, CommunityMatrimony and EliteMatrimony. The company delivers matchmaking and marriage related services to users in India and the Indian diaspora.